Fully self-contained. Close to Methven, Ashburton, and Geraldine, local swimming pool, tennis courts, and golf course, fishing, walks, skiing (in season), jet-boating, sky-diving, hot-air ballooning, four-wheel drive tours, and horse trekking. Farm animals include sheep, pigs, calves, dogs, cats and hens. Come and enjoy the stunning panoramique views and relax in the beautiful, musically themed gardens. Besides musical interludes guests can have fun with games such as giant Chess, Checkers, Connect Four and a Swiss game called Nine Men Morris. At Violinos can sleep 6 guests. There are two bedrooms inside the cottage with queen-size beds, and an adjacent sleep-out with two single beds. All beds have electric blankets and all linen is provided. Bathroom facilities are shared with the cottage. Bathroom has shampoo, conditioner, body wash, hand cleanser and a hair dryer provided as well as a heated towel rail with musical towels. The kitchen is self contained with a stove top, multifunction microwave plus a five in one cook pot, toaster and fridge/freezer. Tea, coffee, milo, sugar and herbal tea is provided. The kitchen, dining room and living room are open planned. There is a TV and DVD player. Internet available. Guests have their own laundry facilities including a washing machine, clothes dryer and iron. Wash powder, clothes line and pegs provided. There is a heat pump for heating. This is a self contained country cottage ideal for a one or two night stay for a bed and breakfast. The cottage is available for longer stays up to seven days. The tariff is $160 bed and breakfast for two per night or $130 per night without breakfast. Special rates for longer stays speak to Debbie for details. 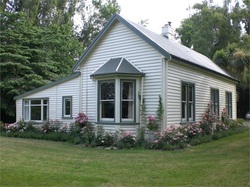 DescriptionRiverfields Cottage is 3 kilometres off state highway one an hour from Christchurch. This is a unique opportunity for a couple to stay on an arable and sheep farm in the South Island of New Zealand and meet the farming people and enjoy the countryside views in a peaceful setting close to amenities with Ashburton and Lake Hood Aquatic Park nearby. This cottage comes with quality accommodation a breakfast basket delivered in the morning, an optional food hamper is available with evening snacks and wine with provisions of food for you to cook for your evening meal.There is a decking with beautiful mountain and sunset views. There are two bicycles available for hire to cycle the the Ashburton River track to Ashburton and Lake Hood. The cottage has its own fenced garden with outdoor seating and off street parking. Experience this while staying in this comfortable, spacious, sunny house , has 5 beds. Very popular during school holidays & Christmas, great for sports teams and also ideal for short or long term work stays. Full kitchen, oven, fridge, freezer, washing machine and dryer, new insulation with night store heater and two heat pumps, separate bathroom and toilet, two living areas, lounge has 37' LCD TV with 50 Sky channels and DVD player. House is complete with all linen and bedding and can be serviced daily **Free wireless internet and espresso coffee available on arrival. Comfortable, spacious, sunny house , 5 beds. Very popular during school holidays & Christmas, great for sports teams and also ideal for short or long term work stays. Full kitchen, oven, fridge, freezer, washing machine and dryer, new insulation with night store heater and two heat pumps, separate bathroom and toilet, two living areas, lounge has 37' LCD TV with Sky and DVD player. House is complete with all linen and bedding and can be serviced daily **Free wireless internet and espresso coffee available on arrival. The Gardeners Cottage, built in 1870 is set in 6 acres of garden and fully self contained, it is situated on a farm boundarying the town. Just 1Hr from Christchurch and just off the main highway to Mt Cook,Queenstown or Dunedin. Has 4 Bedrooms 1x double 2x twin 1x single.All bedrooms have heaters and all beds have electric blankets. Has kitchen dining room with log fire, lounge with open fire and colour TV & video and has a seperate laundry with automatic washer and dryer.BBQ area with gas BBQ. Private and quiet set on the edge of 6 acres of established woodland and formal gardens with a lake.Special features in the garden is a tree planted to mark the visit of Queen Elizibeth in 1981 and also a placque to mark the 1st church service held in Ashburton by the 1st Bishop of Canterbury in 1857.An 1885 Chapel is also a feature as is the 1920s Coniston Motor Garage with vintage & classic cars. There is also The Granary Museum featuring both farming and household items from yesteryear. Rowing on the lake ,farm walks with Highland cattle, sheep, grain and seed crops.Only 3mins to resturants. 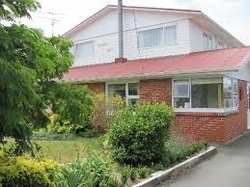 Boutique Motel Accommodation in Ashburton. Jocelyn and Len Stephens extend a warm welcome to you at the Academy Lodge Motel, Ashburton. They have recently taken up ownership of this boutique motel and are very much looking forward to giving you personal and friendly service during your stay in Ashburton. 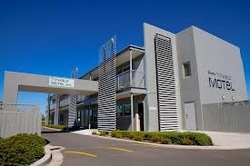 The motel offers 5 spacious, individual ground-floor units which include a choice of studios, one and two-bedroom units. All units have ensuite bathroom, fridge, tea and coffee-making facilities and Sky TV. All units are serviced daily. Academy Lodge Motel is conveniently located just off State Highway 1 on Ashburton's main street. The motel is a short walk from Ashburton town centre, the Ashburton Trust Event Centre, within 10 minutes drive of the popular Lake Hood and world-famous Aviation Museum. The popular alpine town of Methven and Mt Hutt Village is a 30-minute drive and Christchurch airport 55 minutes. Your hosts Harvey and Sally Rhodes welcome you to Ashburton Motor Lodge & Conference Centre, New Zealand, one of Ashburton's newest motel accommodation providers with a modern conference centre and facilities. Ashburton Motor Lodge offers luxury accommodation at an affordable price. With an extensive range of facilities available, you will enjoy a high standard of comfort and quality featuring 17 well appointed units, making your stay, whether it be business or leisure, as pleasurable as possible. Ashburton Motor Lodge is situated on the northern boundary of Ashburton and is just 1 hour from Christchurch International Airport. All units are non-smoking, serviced daily and have Internet access (Secure wireless available). Coronation Park - Your Choice for Ashburton Accommodation- "Your Best Home Address in Ashburton"
We want you to be comfortable and have a relaxing stay when you come to Coronation Park. We know how important a friendly welcome is and take pride in offering comfortable, clean facilities to all our guests. We can offer luxury motel accommodation through to modern standard cabins and plenty of campsites. Rest assured you won’t get better value for money in Ashburton accommodation than at Coronation Park Holiday Park. Our accommodation is conveniently located 1 hour South of Christchurch Airport, you can escape the hustle and bustle of the city and clear your head before you start your holiday or before you prepare to fly home. Enjoy the ease and added security of parking off the road and at the door of your accommodation of choice. We are located within the town - in walking distance to shops, the Ashburton Racecourse, Ashburton Show Grounds, sports fields, Trust Event Centre and Hotel Ashburton. Lake Hood is a 10km drive, with the Plains Railway and Ashburton Aviation Museum even closer. Across the road is a Robbie’s Bistro and Robert Harris Café. The surrounding area is an outdoor mecca offering fishing, climbing, bouldering, walking, tramping, skiing at Mt Hutt, Methven, rafting at Rangitata Rafting, hot air ballooning, sky diving, jet boating and golfing. If you prefer culture, Ashburton has numerous museums, galleries and craft options including the world famous Ashford Craft Village. 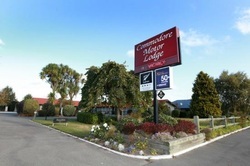 Welcome to Commodore Mot﻿or Lodge, Motel Accommodation in Ashburton. Chris and Paul welcome you to Commodore Motor Lodge accommodation in Ashburton. 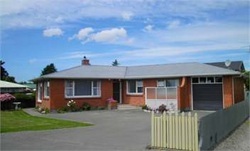 We offer genuine Kiwi hospitality and a lovely garden setting. 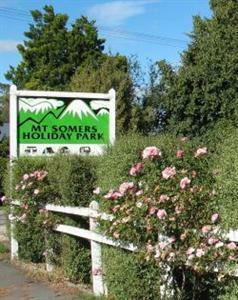 Our 14-unit ground-floor Ashburton motel complex is just 1-hour drive south from Christchurch airport and 1 hour from the Mt Hutt ski field. 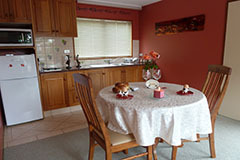 Our spacious clean Ashburton motel units have fully equipped kitchens and are serviced daily. There is ample off-street parking with children's playground and BBQ area. 50+ Sky TV and wireless internet. 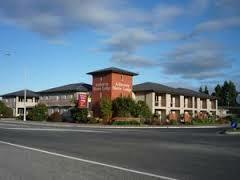 Welcome to Taylors Motel Ashburton. Taylors Motel offers outstanding 4 star accommodation and features 12 quality self contained units and 2 bedroom house set in a tranquil garden setting, boasting a fabulous north facing location and an uninterrupted view of Mt Hutt, one of New Zealand's premier ski fields. We are located just off State Highway 1 on Ashburton's main street, and are only a 15 minute walk from Ashburton town centre, the Ashburton Trust Event Centre, Racecourse and Showgrounds. We are also within a 30 minute drive of both Lake Hood and Mt Hutt Village - Methven. 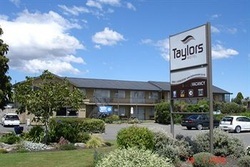 Award winning Taylors Motel is your gateway to a very memorable stay on the magnificent Mid Canterbury Plains. Your hosts Rebecca & Craig Lambie look forward to you joining them for a magnificent experience matched with excellent customer service in a relaxed friendly environment. Welcome to Tinwald Motel. Tinwald Motel is a new 12 unit complex on the south side of the Ashburton river and just 3 kilometres from the Ashburton town centre. Our Qualmark 4+ self contained and serviced affordable quality motel accommodation offers luxury units, with high quality beds in every unit with the option of a full kitchen or kitchenette. Tinwald Motel accommodation is perfect for families, couples or those requiring an access unit. 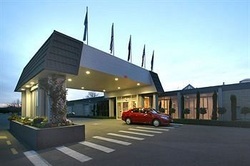 We are also ideally suited for corporate business travellers, with business facilities and wireless internet available. Our Ashburton motel is also adjacent to The Stables Family Restaurant and Bar,Tinwald Sports Bar and Tinwald Liquorland. Enjoy a delicious meal and a fine wine, without leaving the motel complex! There is plenty to see and do in Ashburton, from trains, planes and automobile museums to gardens, markets and seven great golf courses. Tinwald Motel is also within close proximity to all popular café and restaurants in Ashburton's town centre. For those that love Skiing and Snowboarding, Tinwald Motel is only an hours drive from Mt Hutt skifield, acclaimed as the best in New Zealand and the last South Island field to close for the 2012 season. Just 4km from Tinwald Motel is Lake Hood. Lake Hood is Ashburtons top attraction for water sports, inlcuding water skiing, rowing, swimming, kayaking and much more! Power Sites/Tent SitesThese sites are situated in a quiet garden setting with tables, benches and facilities nearby. There are 20 powered and 8 unpowered sites available. Standard Cabins (6)Our standard cabins have double and bunk beds, each cabin sleeps up to 6. Linen is not supplied but can be hired from the office. All facilities and many cabins are wheelchair accessible. Special rates available for schools, clubs etc. We have cabin/caravan accommodation for up to 54 people. All prices are per night and include GST. Credit cards and EFTPOS cards are welcome (VISA and MASTERCARD)! Hi, my name is Howard Andrew. My wife, Carolie, and I run Ramblers' Rest. 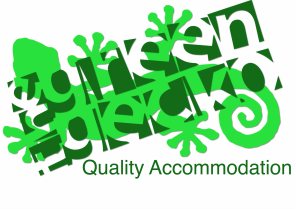 We have been providing accommodation for backpackers, travellers, and ramblers on working holidays since 2007. Our backpackers has a unique atmosphere that will make you feel like you're at home away from home. Here at Ramblers Rest you'll find everything you need to achieve your aims while in Ashburton. Like we say, it's a "home away from home". Rooms - Most rooms have 2,3 or 4 beds in them and you will share your rooms with fellow travellers. We have a few double bed rooms for couples. Bed linen is provided. Living area - The lounge has a heatpump and TV with DVD player. United Video movie hire is just down the block. 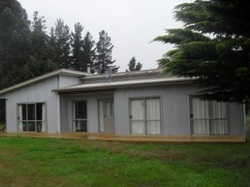 Facilities - There are communal bathroom, laundry and kitchen facilities and an outside clothes line. Parking - Sufficient on and off street parking available. Otherwise please call on (03) 3085253.